The other day I was talking to a friend about back sliding. The kind of back sliding I am talking about is the kind where you revert to the way you were and have taken a step or vacation away from God. This last couple of weeks, I have had a discussion a few times with friends that are on the brink of walking away from God. One of the conversations I had with a young single mom who has two daughters. Her life is overly filled between work and taking care of her daughters. While we were talking, we started talking about how something is missing in her life. She couldn’t point out why she felt there was an empty spot, but there was. My friend lives in Phoenix now and I know she has many friends and family members there. As we were talking, she told me that ever since she stopped going to church, her life has become lonely and the joy has left. I can understand this, because for a long time, I felt that too. I let other things get in the way of God. I could justify not going for many reasons. I had a running list going some 20 plus yrs ago. Here are some of my excuses for not going to church. 1. I’m too tired from working and I want to sleep in late. 2. I don’t need to go to church to be saved. I can get everything I need from the TV preachers. 3. I didn’t like the music and it was boring. If I didn’t go the worst I felt. After awhile, it was easy to just say honestly that I don’t want to go. What started out as a few weeks turned into years. I would go once in awhile if my daughters performed, but that is it. I wasn’t being the kind of role model I needed to be for my daughters and I was getting further and further from God. When we moved to Southern Utah I made a conscience decision to go to church each Sunday. Even if the sermon and music wasn’t the best, I knew I needed to go. Satan loves it when God’s children backslide or drift away. It is easy to do, because it is so gradual and you don’t see it is a problem until it effects your life and your families life. My friend that I was talking to still hasn’t found a new church home. She has this idea that there is no other church like the one she went to before she moved. So, instead she doesn’t go anywhere and has the attitude that church isn’t important. If her daughters pick up the phone, they will tell me how much they miss going to church and that they have seen a change in their mom. One of the biggest excuses that people have is that they don’t want to go to church anymore because church people are full of hypocrites!” I know this may not be a good response to that, but I would say there is more than enough room for another hypocrite. All churches are filled with hypocrites, sinners and imperfect people. If anyone is expecting otherwise, you will be disappointed. Being a Christian isn’t always going to be easy. At times it may be miserable. Thankfully I have never been miserable when it comes to my faith in Christ. What I have found is that there are times in our lives that we get off track or fall off the trusting God wagon. As Christians we are to encourage our brothers and sisters in Christ daily so that no one turns away from God. If you have found yourself backsliding, or drifting away from the Lord, these practical steps will help get you back on course today. A study came out not too long ago. It was based on those who go to church and don’t. The results are pretty sad when you think about it and I am so blessed that my children are believers in Christ, even when I stopped going for such a long time. God must have had big plans for them because I know if they relied on my faith in the past they would be lost. 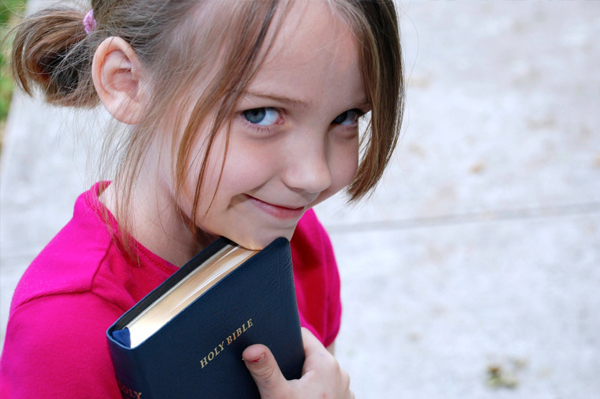 Our children watch us and when we don’t demonstrate our Love for God and want to be with other Christians, why would they want to do that? •If both Mom and Dad attend church regularly, 72% of their children remain faithful in attendance. •If only Dad attends regularly, 55% remain faithful. •If only Mom attends regularly, 15% remain faithful. •If neither attend regularly, only 6% remain faithful. After finding out the results of this study it makes me wonder what kind of a message we are sending to our children. I had to ask myself if I was committed to teaching my children and grandchildren why Christlike behavior and going to church is important. 1. 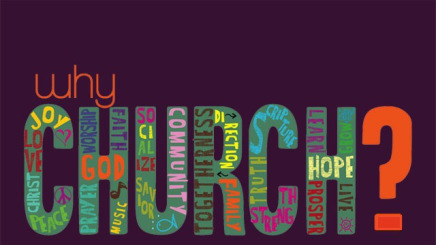 Going to church is more than just listening to a sermon. It is about surrounding yourself with other Christians and believers in Christ and being around like minded people who have the same love for Christ that I have. 2. When we listen to the sermon or attend study groups the Word of God has a way of building our faith and spiritually feeds us. For myself this is one of the most important things for me to do. Each week I feel like I am putting on the Armor of God. When I have obstacles, I have the tools needed to go into battle against Satan. 3. One of the most important reasons why we should be going to church is that if we have a right relationship with God and have fellowship with others believers. In 1 John 1:7 it says, “But if we walk in the light as He is in the light, we have fellowship with one another, and the blood of Jesus Christ His Son cleanses us from all sin”. 4. What I have found is that when I go to church and hang out with other believers, it has a way of helping me with my struggles. Many times others have or are going through the same thing. When believers share their journey or testimony, it gives us a way of looking at things from a different perspective and shows us that we can get through anything if we have faith in God. What I had to do when deciding that I needed to get back to church on a regular basis I had to do a few things. First of all I had to pray and ask for forgiveness. I needed to come up with ways to get my life back to where it should be and back to knowing God. Actually God is the One who provided the answers, once I prayed and was open to hearing what He had to say. I can be a bit stubborn on some things.Here are some things that will help with your journey. It did with mine and it is something I still have to continuously work on and pray about. 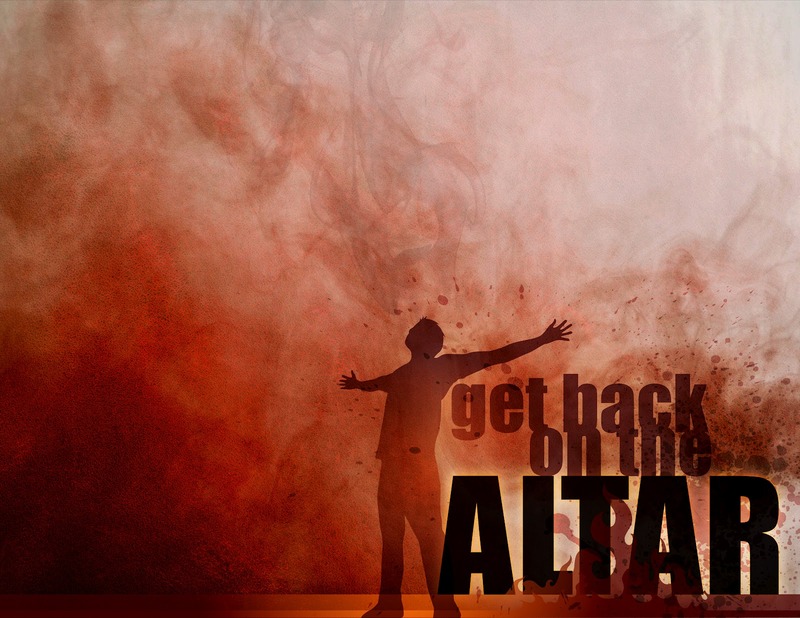 Secondly, if you find yourself drifting away from God, it may be a good idea to turn back towards him immediately. Don’t take too long because the longer you take, the easier it is to not notice. It is what is called a slow fade. Besides, we want to please God, not Satan. At-least that’s what my plan is. Lastly, seek God in all things. In I Chronicles 28:9 it says, “If you seek him, he will be found by you; but if you forsake him, he will reject you forever.” As Christians we need to study the Word of God daily. This is an area I need to work on more. I’m not talking about reading a verse or two. I mean really study and learn about God. There are so many resources out there and I know our church offers many opportunities to dive into the Word of God. When I was done talking to my friend, I left her with this to think about and I emailed her my final thought. Well, not final, because I am always talking about sharing God with others. But, what I told her that we never should neglect our meeting together, like some people do. We need to encourage one another. Christ is coming soon and we need to make sure to not turn our eyes and hearts away from Him. Don’t give Satan a reason or opportunity to take a stronghold in your life! In closing, I just want to say that we need to stay in fellowship with other believers. We can’t make it alone as a Christian. We need the strength and prayers of other believers. Develop a daily habit of spending time with God. Bad habits are hard to break. Also, when you go back to Church, make sure it is a church that is a Bible Based church. Not all churches are and there are many out there that is all about stroking egos and accepting of anything and everything. Always pray if you need help and direction. God will point you in the right direction.